This year is the year of Hygge for me! I am all about finding moments to enjoy relaxing and being in the moment. First things first! Learn to be relaxed, cozy, and chill. 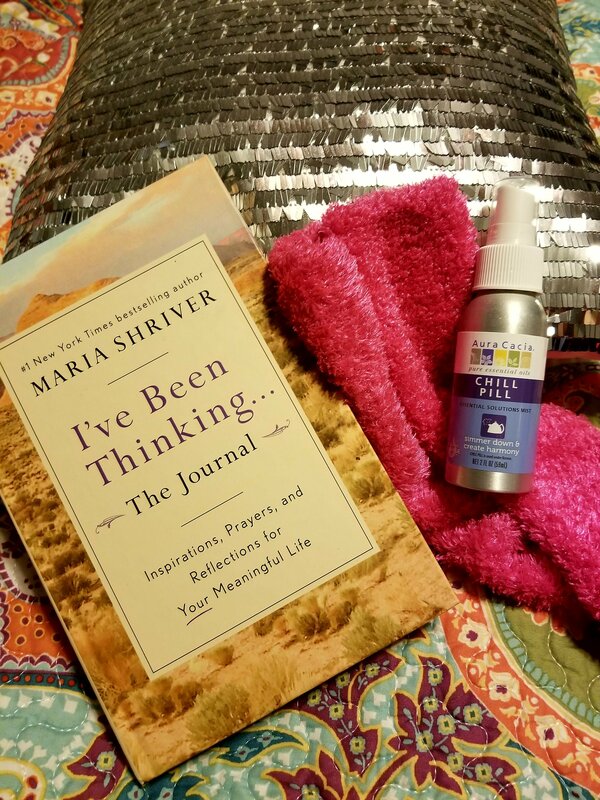 Here are my favorite CHEAP must haves to help you relax! They are all under $20! I love my new incense cones and super cute incense holder. I have started journaling using this awesome Maria Scriver Journal. I love my new Calm Drink. My Chiropractor recommended this. It is known as the Anti- Stress Drink. It relaxes the mind and body! I love my essential oils. I use them in a diffuser. My favorite for relaxing are Lavender and Burgamot. To uplift I like lemon and orange type scents. I really like my Chill Out spray. I spray it on the pillow before bed. So nice! Bed Buddy Foot Warmers Aromatherapy, Purple. Lavender Scent These are so comfy! I ordered super cute SHZONS Heated Shoes. These Foot Warmer actually are coming from China so I haven’t received them yet. But can’t wait to have toasty toes! Magnesium Oil Spray has so many great benefits! Magnesium is long known for its relaxing and rejuvenating benefits. I spray it on my neck to help with my headaches!